String lights can light up your home ambience inexpensively. Placing a simple white string light in your bedroom can change the whole view. That’s why use of string lights are becoming more popular in home decor these days. 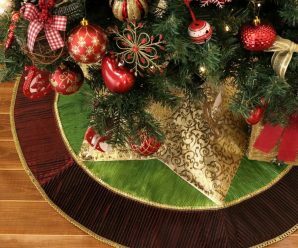 There decoration require low maintenance, less effort and more decor. But still most people associate string lights with holidays which is also true. 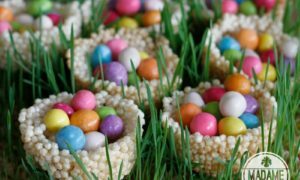 Here, we tried to collect ways to customize string lights according to the occasions like for birthday parties, holidays, romantic view, baby shower etc. 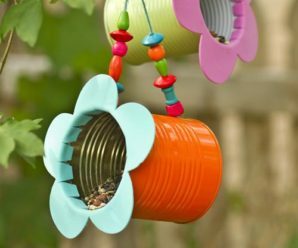 It takes few simple instructions to follow to create something new and attractive for home decor. 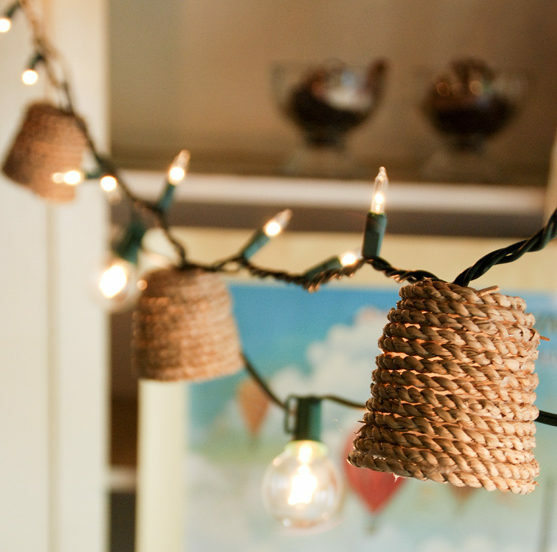 These collected string light diys can give your parties or home a more thoughtful view by making them more cozy, warm and attractive. 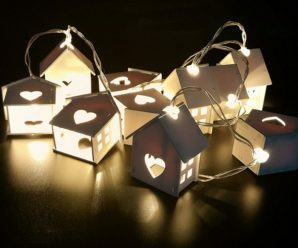 Have a look at below ideas and add a little sparkle to your home with these easy projects using string lights. 1. Friendly String Lights: Friendly String Lights are so easy to make! Cut squares of fabric tie them along the wiring of the lights. Squares work better than strips for creating the ruffled look. 2. DIY Fringe String Lights: DIY fringe string lights so simple and removable so you can switch it out for any holiday, birthday or other bash you may be throwing. 3. 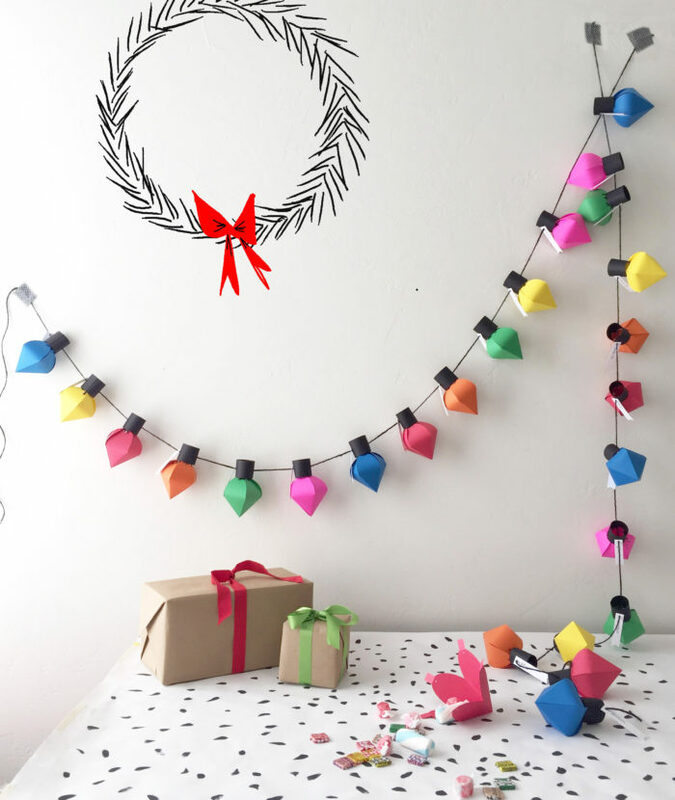 Cafe String Lights: These colorful paper hats turned out to be the perfect material for Cafe String Lights. If you’ve got a pile of party hats laying around after a party, upcycle them! 4. Snowflake String Lights: Create an idealized winter wonderland indoors using snowflake-like bouquet holders and a string of holiday lights. 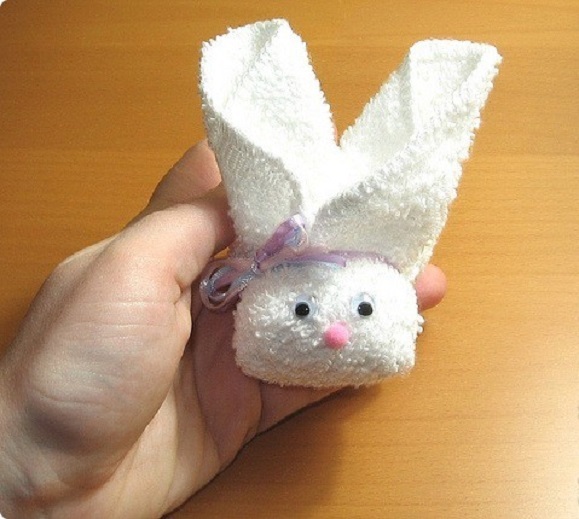 These are so simple to make. 5. 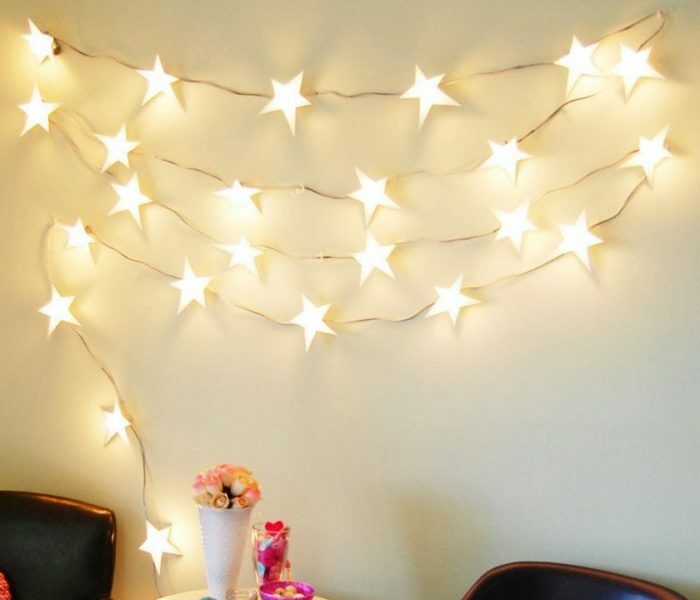 Bright Star String Lights: Bright Star String Lights DIY is really easy, and will be even easier if you can find string lights with a white cord. They look great draped on a rustic wooden headboard. 6. 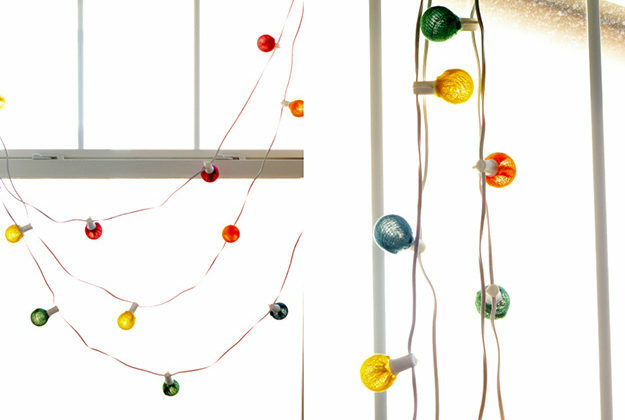 DIY Bulb String Lights: DIY Bulb String Lights is super easy to make. You can switch these Bulb String Lights out for any holiday, birthday or other bash you may be throwing. 7. 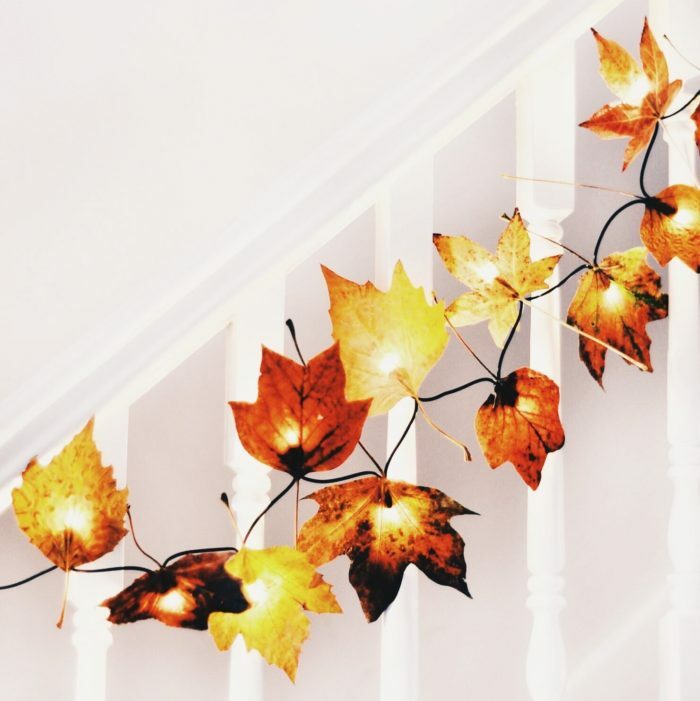 Autumn Leaf Fairy Lights: Autumn Leaf Fairy Lights look great in the day as well as the evenings. The light that comes through the leaves creates the most beautiful colours and glow. You can try this at your home. 8. 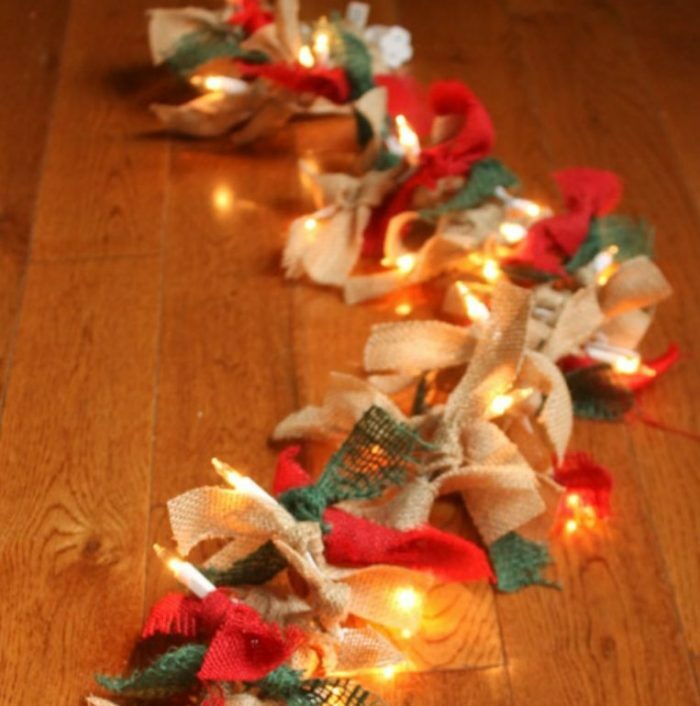 Lighted Burlap Garland: Lighted Burlap Garland is lovely idea to turn a string lights into super decorative Lights. The burlap looks so gorgeous with the lights behind it. 9. 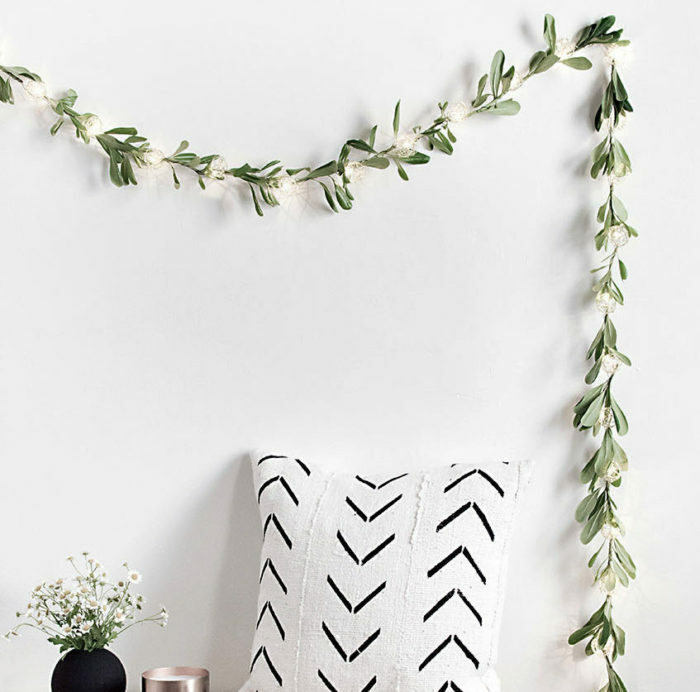 DIY String Light Garland: String Light Garland like this looks very cute for a summer party, either hung up or laid down the center of a table. These LED gold wire string lights to become a decorative garland for the theme of summer parties. 10. 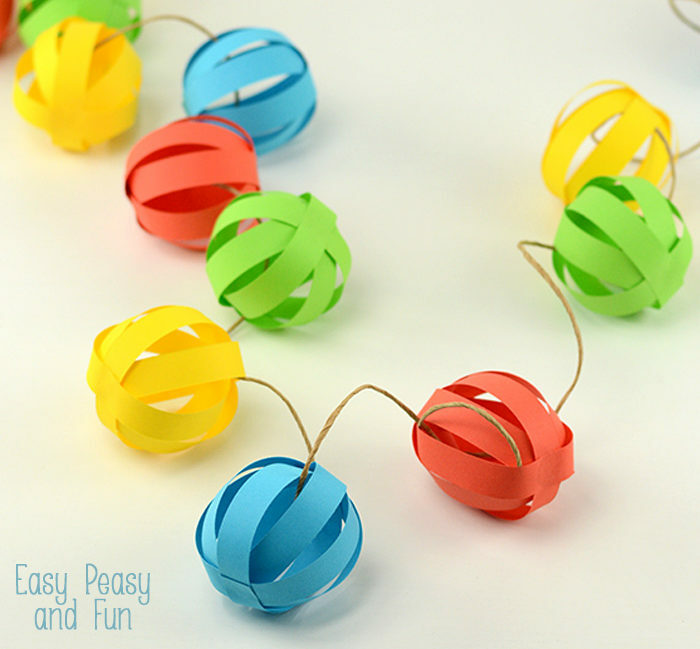 Paper Ball Garland: Simple paper garlands make the prettiest decorations and they are frugal. 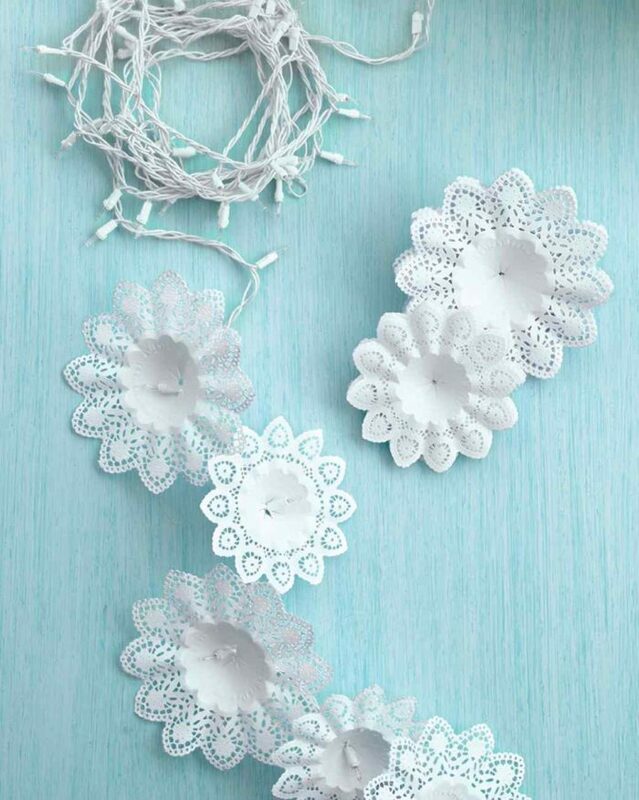 You can make a garland like or even turn these into tree ornaments. 11. 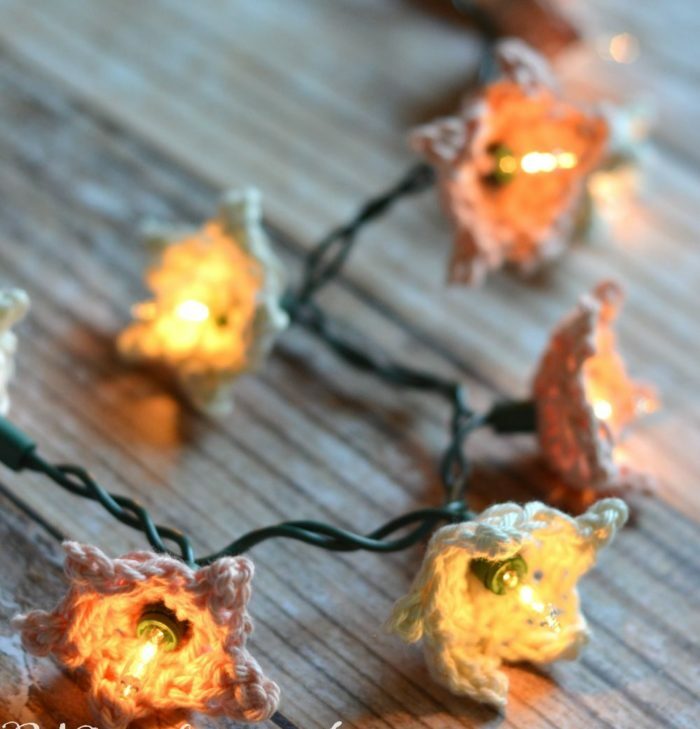 Crochet Star Flower Lights: This Crochet Star Flower Lights are boho without being over-the-top, and would go with a variety of decor styles. Seeing crochet, knit and weaving highlighted in home decor is fabulous. 12. 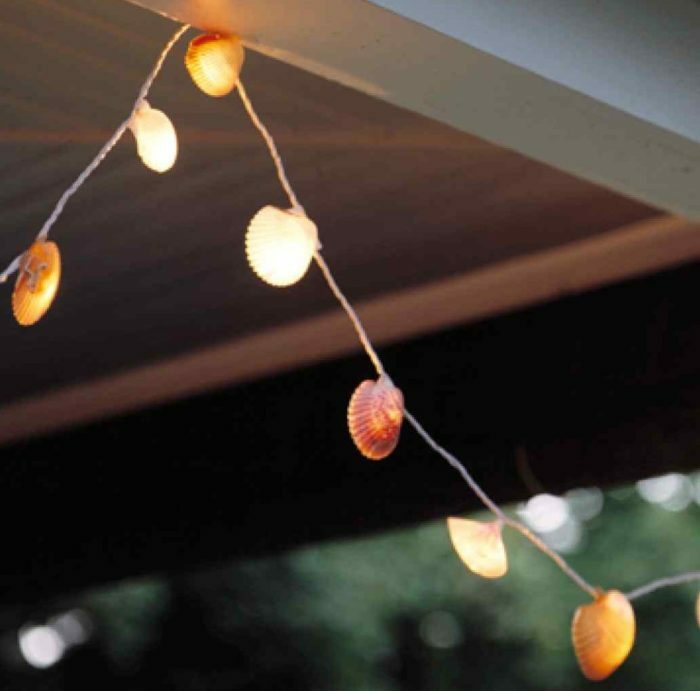 Seashell String Lights: A string of beach treasures casts a dreamy glow on a patio or porch. Seashell String Lights will become most beautiful decorative lights for your parties. 13. 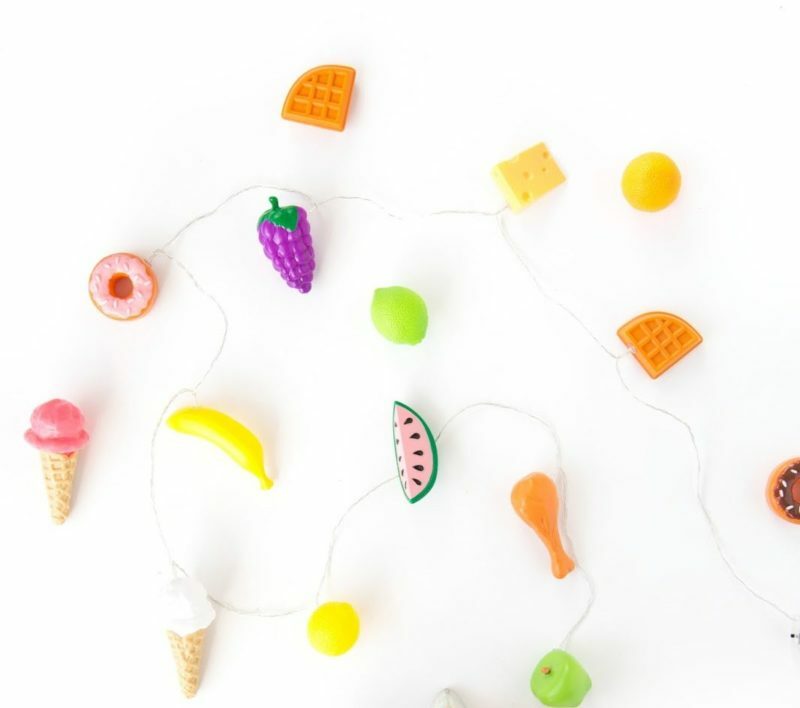 Plastic Food String Lights: Plastic Food String Lights is a great idea to decorate your home with food string lights. 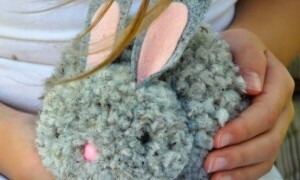 You can also use any plastic kids toys to cover your string lights too. 14. 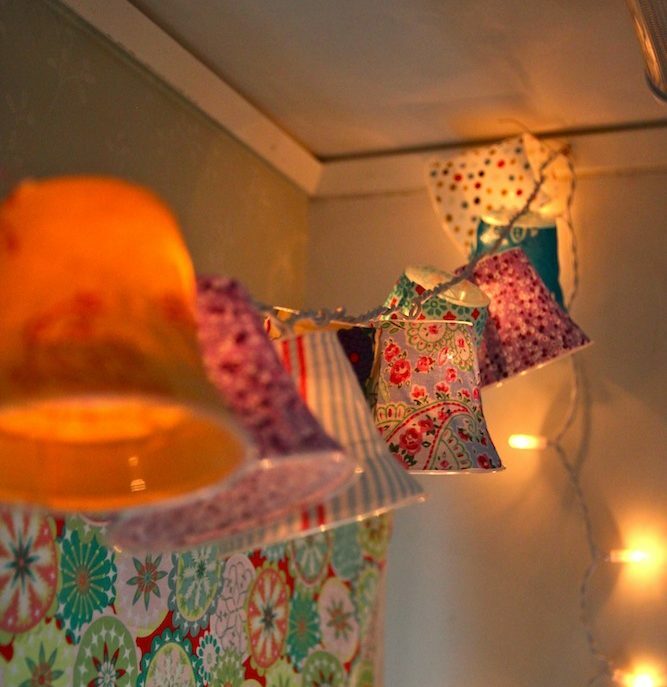 Light Chain with Lampshades: Wonderful idea! Light Chain with Lampshades look lovely. 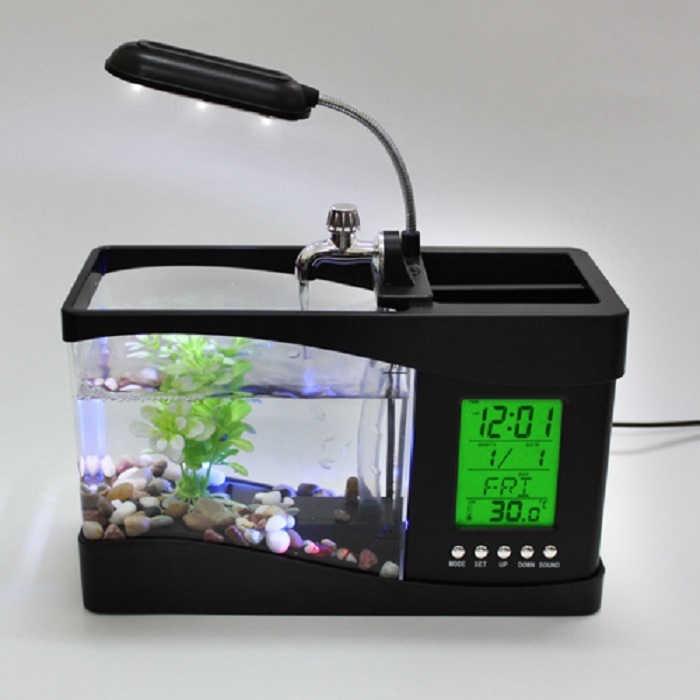 It is an amazingly simple but utterly Effective idea to decorate your home beautifully. 15. 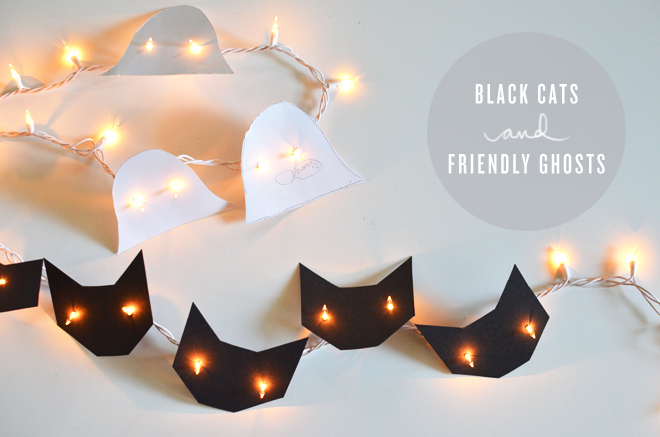 Black Cats and Friendly Ghosts String Lights: Black Cats and Friendly Ghosts String Lights are lovely idea to make with small ones. 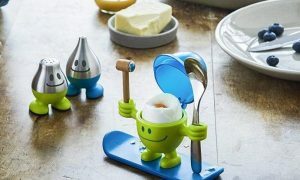 Surely you can have fun make these by yourself. 16. 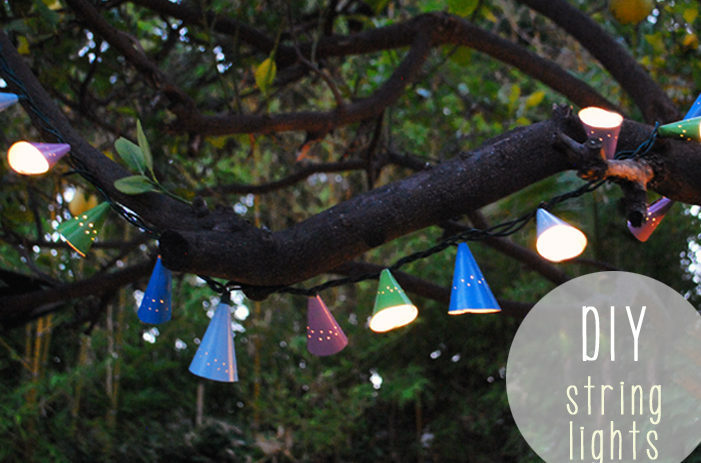 DIY Outdoor Lighting:Upgrade Simple String Lights on a Shoestring Budget. 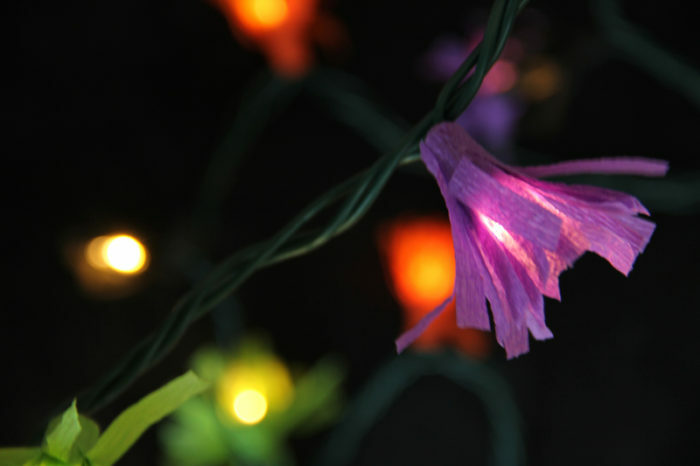 These ordinary string lights with a festively floral makeover that will brighten your space. 17. 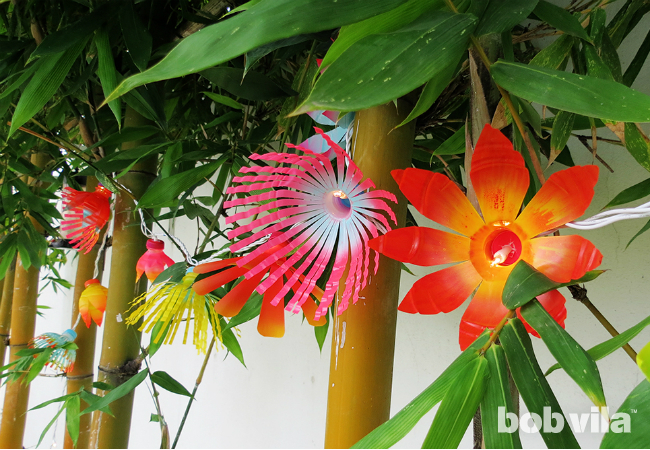 Colorful Globe String Lights: Colorful Globe String Lights are simple way to make a colorful impact. Just turn boring string lights into a rainbow. 18. 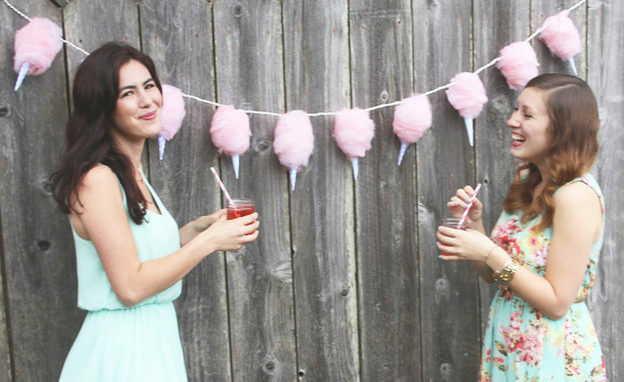 Cotton Candy Party Lights: These Cotton Candy Party Lighting ideas look just as cute and festive during the daytime as they do on a warm summer evening. 19. 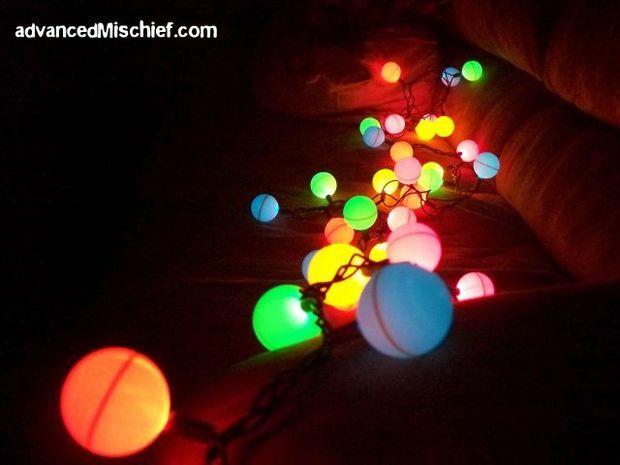 Ping Pong Ball Lights: Ping Pong Ball Lights is a quick way to turn an ordinary string of lights into a great party decoration. The ping pong balls make great diffusers and look really cool when they are glowing. 20. 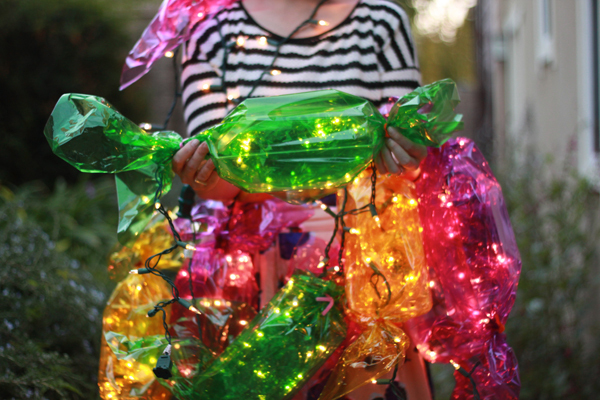 DIY Candy Lights: Candy Lights are really magical super cute idea. A wonderful way to make the holidays or even a birthday party more festive. 21. Jute Twinkle Light Shade: Jute Twinkle Light Shade are pretty easy to make. These lights have such a lovely outdoorsy feel. 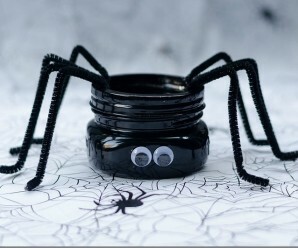 You can try this by yourself for your party decorations. 22. 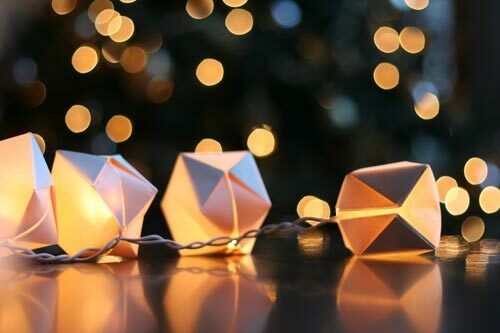 Paper Cube String Lights: Paper Cube String Lights are very creative and very easy to make t home. A little something special to drape over your headboard, and a row of glowing paper cubes turned out to be just the thing!